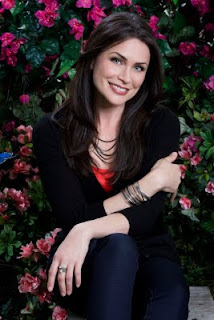 A: Rena (pictured, photo courtesy Hallmark Channel) has been busy guest-starring on various shows, like “Ghost Whisperer,” “Two and a Half Men” and “Monk,” as well as taking care of her two daughters. As Rena gears up for pilot season, she told me that she loves the fact that she’s had such a varied career. She explains: “I’ve done so much comedy, and I’ve also spent years doing drama. But in this business, you are only known by your most recent role. You are always in the position of proving yourself, and I am up for the challenge.” The latest challenge Rena has tackled is the Hallmark Channel original movie “Always & Forever,” which premieres the weekend of Oct. 24. A: Chris Noth, who will turn 55 in November, recently announced that he and longtime love, actress Tara Wilson, are engaged. In January 2008, their son, Orion Christopher, was born. Chris currently stars in “The Good Wife,” airing Tuesdays on CBS. Q: I was in the Navy aboard the carrier USS Philippine Sea. In 1957 John Wayne and others made some of the movie “The Wings of Eagles” aboard the carrier. Was it based on a true story? — Gene G., Granite Falls, Minn.
A: Frank Wead was a U.S. Navy aviator-turned-screenwriter upon whose experiences “The Wings of Eagles” is based. He set numerous seaplane records during his time with the Navy; however, his career was cut short because of an accident at home. One evening in 1926, he was resting upstairs when he heard one of his daughters scream out for him downstairs. In his rush to get to her, he tripped and fell down the stairs, breaking his neck. This resulted in his subsequent paralysis. While he was convalescing, friends suggested he take up writing, which he did. He passed away in 1947, after having received two Academy Award nominations and being featured in various prestigious publications in the previous two decades. His friendship with director John Ford is what led to their collaboration for “The Wings of Eagles,” with John Wayne playing the role of Frank Wead. A: Quentin himself announced that he is planning to make “Kill Bill: Vol. 3,” which is scheduled to be released in 2014. He said it is taking 10 years for the sequel because he wanted to give Uma Thurman’s character, The Bride, a bit of a break from her bloody revenge mission.